This standard describes atmospheric effects for consideration when designing ultimate heat sinks for safety-related systems at nuclear power units. Required analyses are provided for a meteorological assessment of the ultimate heat sink to ensure that design temperatures and cooling capacity requirements for the facility are met. 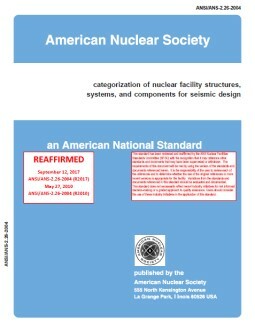 The standard is intended to apply to new nuclear units or the redesign of the cooling systems at existing nuclear units. 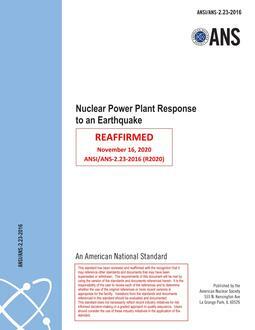 The discussion primarily applies to cooling lakes, spray ponds, rivers, mechanical draft cooling towers, and natural draft cooling towers, which are the heat dissipation systems most commonly used for nuclear power plants. However, the same principles apply to seawater cooling and spray ponds. This standard does not apply to designs that do not rely on external water sources as the ultimate heat sink or to nonmeteorological elements of ultimate heat sink design.